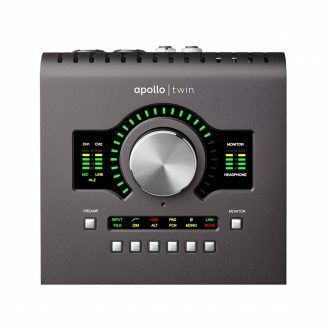 Universal Audio Apollo Twin MKII-D is a ground-up redesign of the world’s most popular professional desktop recording interface for Mac and Windows — delivering enhanced audio conversion with the tone, feel, and flow of analog recording. 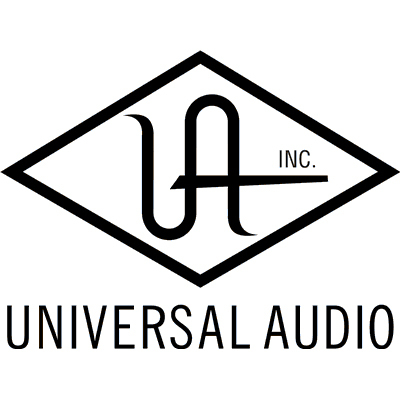 Built upon UA’s 60-year heritage of audio craftsmanship, Universal Audio Apollo Twin MKII-D starts with two Unison-enabled mic preamps and stellar next-generation A/D and D/A conversion derived from UA’s flagship Apollo 8, 8p, and 16. 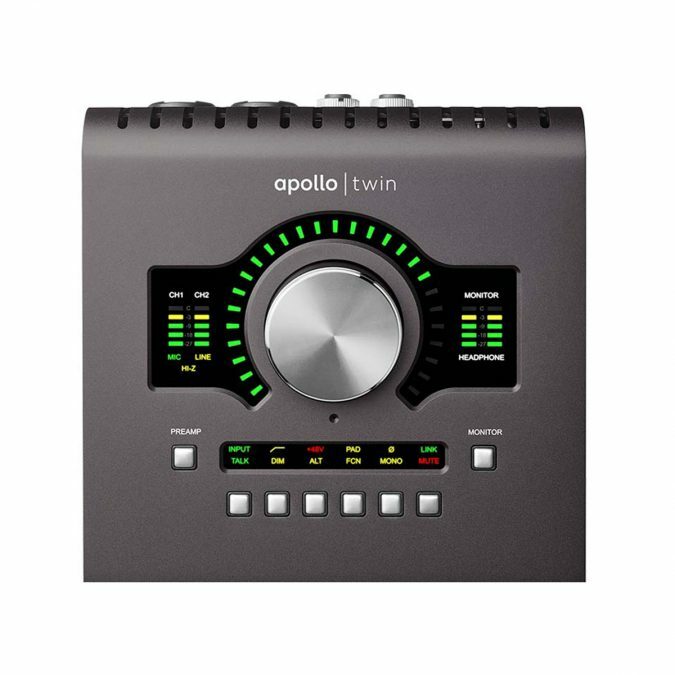 Together with its included bundle of UAD analog emulation plug-ins — which you can track through in real time with UAD-2 SOLO, DUO or QUAD Core processing — Universal Audio Apollo Twin MKII-D is born to make records. 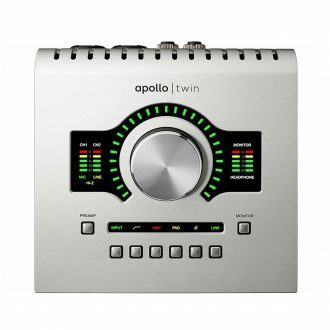 Universal Audio Apollo Twin MKII-D features two Unison-enabled mic preamps, letting you track through exacting mic preamp emulations from Neve, SSL, API, Manley, and Universal Audio. 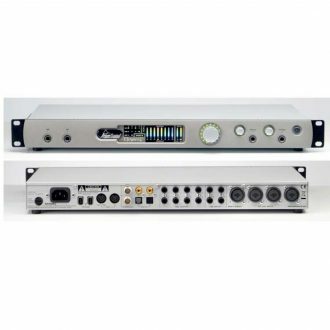 An Apollo exclusive, Unison technology nails the tone of these sought-after tube and solid state mic pres — including their input impedance, gain stage “sweet spots,” and the component-level circuit behaviors of the original hardware. 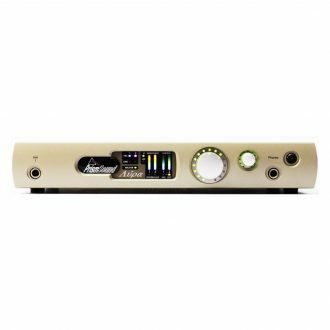 Right out of the box, Universal Audio Apollo Twin MKII-D provides a suite of incredible analog emulation plug-ins including the world’s only authentic Teletronix LA-2A, 1176LN, Pultec EQs, and the Unison-enabled UA 610-B Tube Preamp. 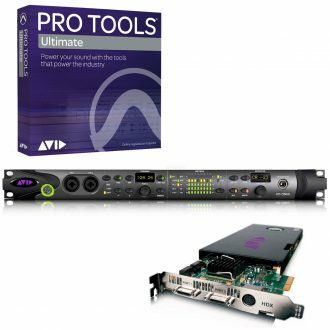 Developed by UA’s world-renowned team of algorithm engineers, these Realtime Analog Classics plug-ins set the standard by which all other hardware emulation plug-ins are judged. Beyond the included Realtime Analog Classics plug-ins, Universal Audio Apollo Twin MKII-D lets you tap into the full library award-winning UAD Powered Plug-Ins — including vintage EQs, Compressors, Reverbs, Tape Machines and more — at near-zero latency, regardless of your audio software’s buffer size and without taxing your computer’s CPU. 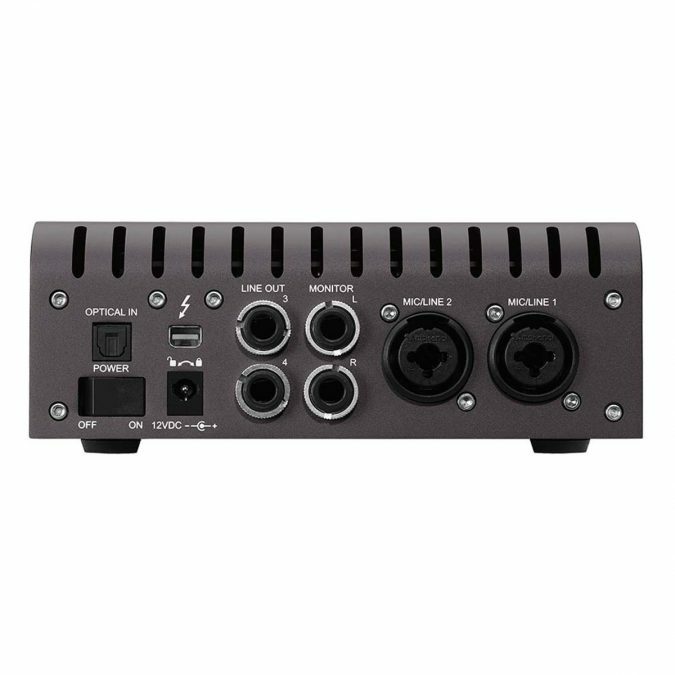 Of course, the heart of any audio interface is the quality of its conversion. 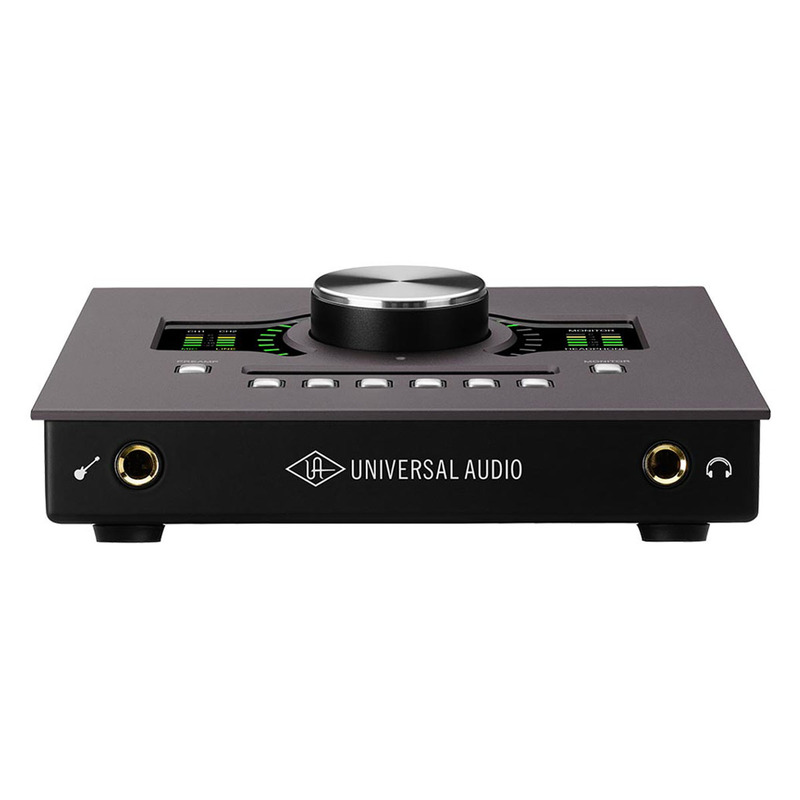 Universal Audio Apollo Twin MKII-D improves upon the original Apollo Twin’s gold-standard audio quality with completely redesigned A/D and D/A conversion — giving you increased dynamic range and ultra-low THD. This next-generation conversion results in breathtaking clarity, depth, and accuracy in your recordings. The new Universal Audio Apollo Twin MKII-D offers greatly improved monitor functionality versus the original — with Mute, DIM, Mono, and ALT speaker switching. 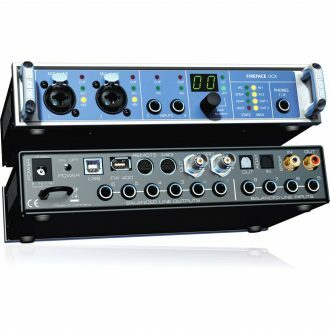 It also includes dedicated monitor remote controls and a built-in Talkback mic for easy communication with talent and/or recording slate cues. 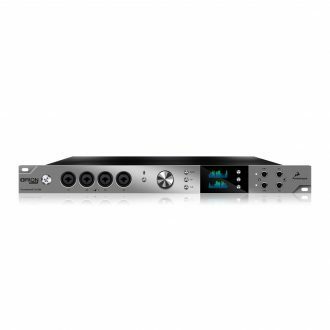 These features, combined with Universal Audio Apollo Twin MKII-D’s scalability, make it the new standard for professional desktop recording. Thanks to Apollo Expanded software, users of any Thunderbolt-equipped Apollo Twin, Apollo 8, Apollo 8p, and Apollo 16 audio interfaces can combine up to four Apollos and six total UAD-2 devices — adding I/O and DSP as your studio grows. 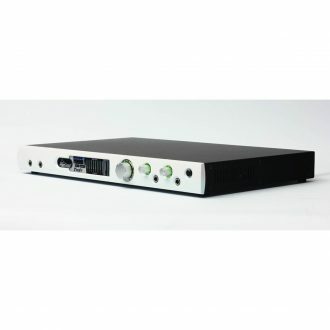 Universal Audio Apollo Twin MKII-D makes the perfect intelligent desktop controller for a full Apollo system. Universal Audio Apollo Twin MKII-D also includes Unison technology on its front panel instrument input, giving you access to dead-on emulations of guitar and bass amps like the Fender ’55 Tweed Deluxe, Marshall Plexi Super Lead 1959, and Ampeg B-15N Bass Amplifier, as well as iconic stompboxes like the Ibanez Tube Screamer. With Universal Audio Apollo Twin MKII-D’s Console 2.0 application — a complete re-imagining of Apollo’s original Console software — you can take advantage of over 25 user-requested features such as Channel Strip presets, Drag & Drop functionality, dynamically resizable windows, and more. With the Realtime Analog Classics plug-in bundle, you get legendary compressors like the Teletronix LA-2A and EQs like the Pultec EQP-1A, stunning guitar and bass amp emulations from Softube, as well as UA’s landmark 610-B Tube Preamp and EQ plug-in.